The Mallige College of Pharmacy was established in the year 2006. The college is managed by the Mallige Education Foundation (MEF). The foundation (MEF) was established in year 2003 to provide quality of education in the field of medical & paramedical science. The college has state of art infrastructure with availability of all vital facilities for students and staff. The college offers with 4 year duration B. Pharmacy program and 2 year duration M. Pharmacy (Pharmacology) program to the students. The college is affiliated to the Rajiv Gandhi University of Health Sciences. 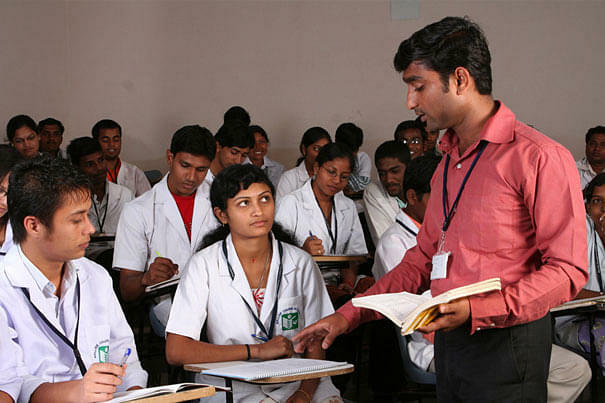 The college provides with qualified and experienced faculty in their respective field of expertise for educating students. The college has a well stocked and spacious library. It has about 2250 volume of books, 250 books in book bank scheme with some of reference encyclopedias and has also subscribed for magazines, journals etc. The college library has a well equipped computer lab. It has about 20 computers with P 3 configurations with internet connection. The college has 12 other educational laboratories for the students for conducting practicals. Why to Join Mallige College of Pharmacy? 1. Industry Visits and Tours –The college organizes for certain industry visits and tours for the students every year in the month of April/May. Through these industrial visits the students of the college gets a wide exposure to certain aspects of the industry and also gets to know about the current scenario and requirements in the industry. 2. Training Classes in place– The college also organizes and conducts training classes for the communication skills, personality development etc. for the students.